Ad Aware Pro is a well-known spyware remover. It offers advanced features for savvy computer users and IT professionals. Pro version of this software has entirely different engine and more useful features. Ad-Aware Pro was tested by 2-spyware.com research center. The application showed good results comparing to other anti-spyware products. 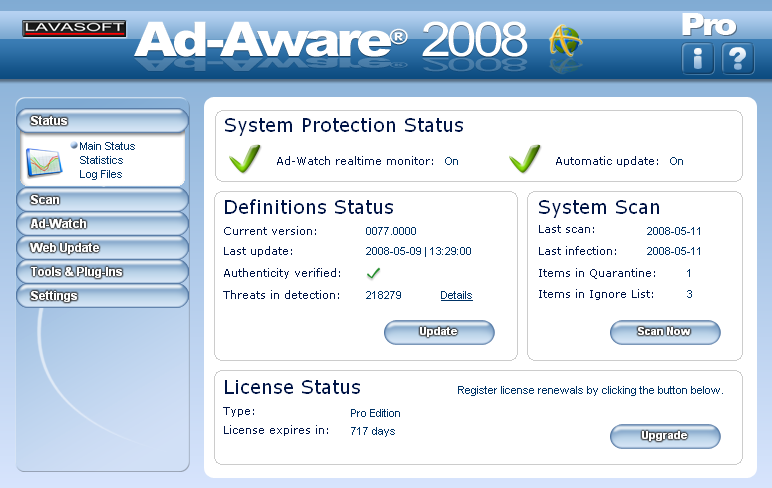 Ad-Aware 2008 Pro has a powerful anti-spyware detection engine integrated with new anti-virus protection. It can perform quick smart scan, full scan or use user-defined rules to check selected locations. 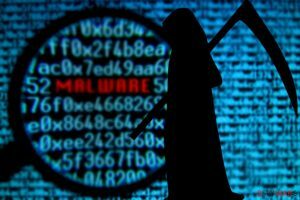 Also this software has smart real-time protection against spyware, viruses, worms, Trojans, password stealers, and other malicious programs. The application has database of more than 1.2 million cyber threats and very customizable interface. User can change almost every aspect of scan, removal, startup and etc. It offers faster, more efficient, automatic updates. What is more it reduces computer memory usage. Now system works faster. 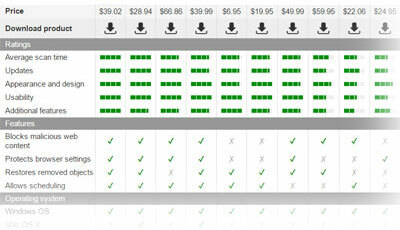 With additional tools, such as Ad-Watch and other plug-ins Ad-Aware Pro is one powerfull and accessible security tool. Sites associated with the product are www.lavasoft.com, www.lavasoftusa.com and www.lavasoft.de. Orders are made via secure connection. This entry was posted on 2014-04-25 at 03:21 and is filed under Anti-Spyware, Software.